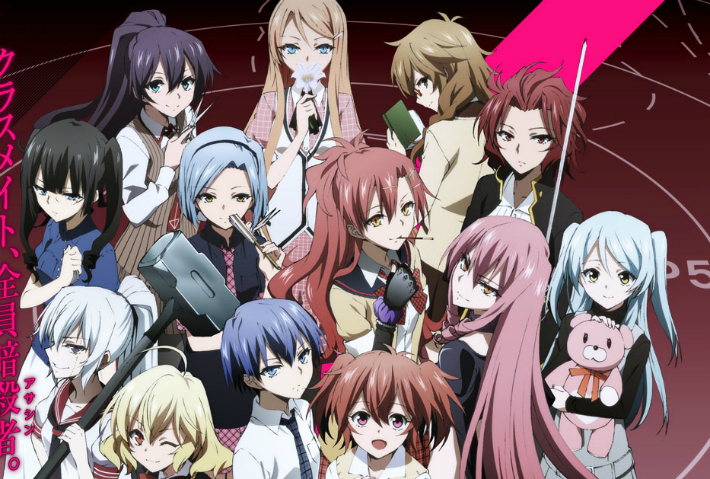 Summary: The story is set at Myoujou Academy, a private girl’s boarding school. The 10th year’s Black Class has 12 assassins with their sights on the 13th student in the class, Haru Ichinose. Tokaku Azuma is one of the 12 assassins that is targeting Ichinose, but she has a change of heart and decides to protect Haru instead. 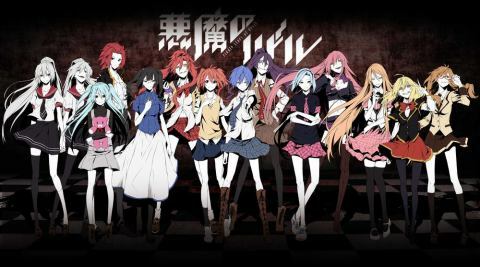 Riddle Story of Devil is a dark anime that can get twisted at times. You will find out as you learn more about the characters that they are not your average, run of the mill high school assassins. They are all messed up in one way or another. You might enjoy this if: You want an anime that’s not afraid of getting dark and twisted. Riddle Story of Devil is not for the faint of heart. You might not like it if: Violence and mature themes are not your thing. Also, younger viewers should probably not watch this. Note to the Viewer: It is a little slow to start, but you find out what you need to know by the end of episode 2. From there it keeps getting better and better. This entry was posted in Anime and tagged 2014, 21, action, akuma, anime, assassination, devil, fragglepuss, review, riddle, school, shoujo, spring, story, twist. Bookmark the permalink.